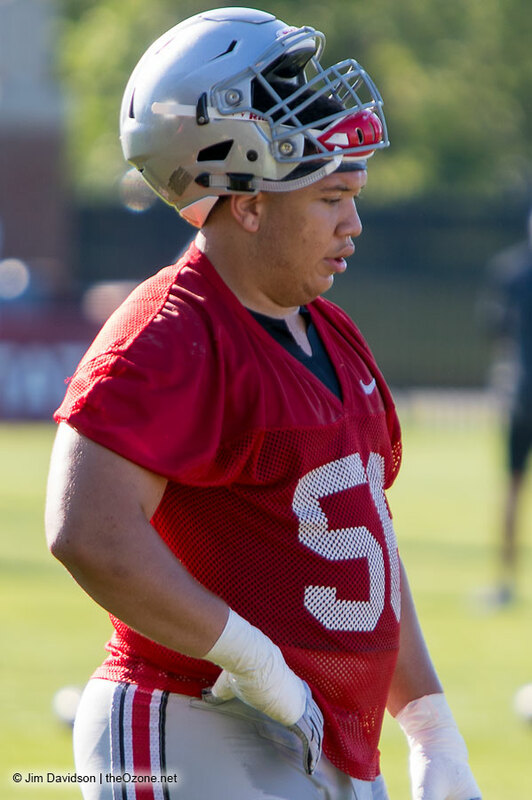 2016 Season (Freshman): Matthew Burrell was a reserve guard for the Ohio State offensive line. 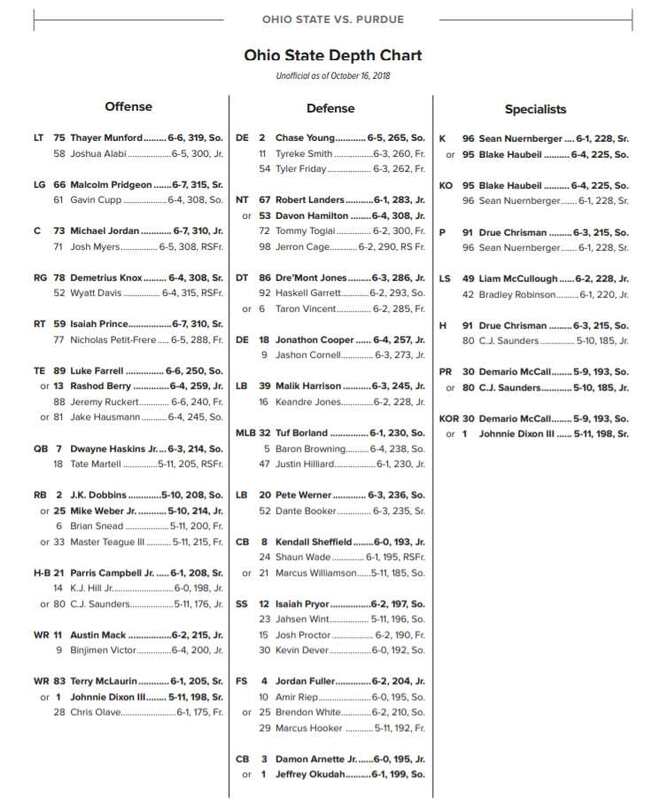 Overview: Burrell redshirted the 2015 season as a true freshman … a Virginia all-state offensive lineman, Burrell was considered a Top 10 offensive line prospect in the class of 2015 with 4-star classification by ESPN, Rivals, Scout and 247Sports … he was a Top 100 player nationally overall as a member of the ESPN 300 (No. 94) and he also earned high overall rankings from 247Sports (No. 105) with Rivals and Scout each listing him among their top 175 players … he was the No. 1 offensive line prospect in his region with Top 10 lineman rankings nationally by 247Sports (No. 7) and Rivals (No. 9), and with a No. 12 ranking by Scout … Burrell spent his first two high school seasons at Chancellor before transferring to Hylton for the 2013 and 2014 seasons … played for coach Tony Lilly at Hylton and helped his team to 10-2 and 9-2 records in 2013 and 2014, respectively … a member of the PrepStar Top 150 Dream Team, Burrell attended The Opening in the summer of 2014 at the Nike World Headquarters … is the son of Nicky and Matt Burrell Sr.